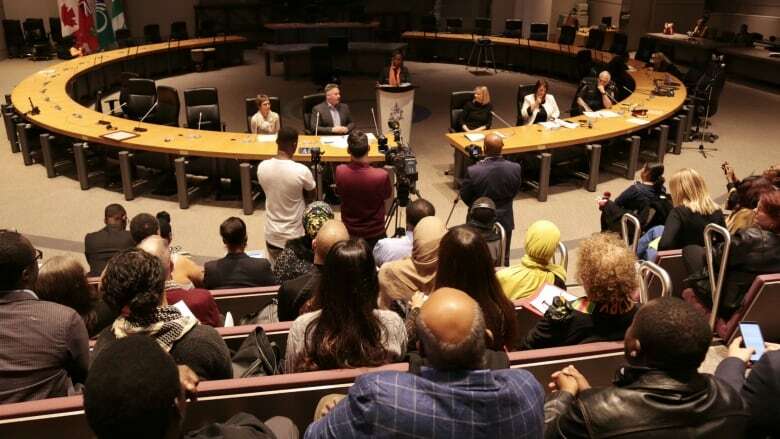 Leaders from the City of Ottawa and some of its key institutions say they're making progress toward addressing anti-black racism, but admit there's still much more to do. 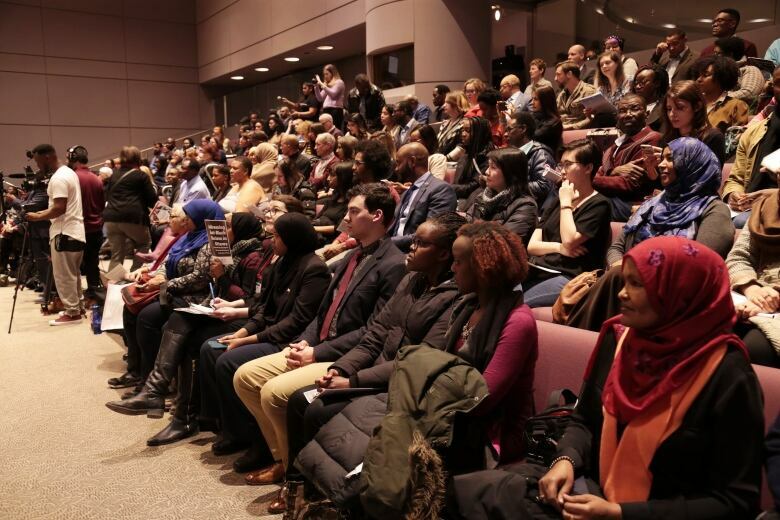 More than 200 people gathered at Ottawa City Hall Wednesday to hear reports from representatives of the city, police, school boards and community health centres on the steps they've taken to confront anti-black racism in public services. The meeting came a little more than a year after a report found these institutions were failing the city's black community by overlooking its concerns and denying the existence of anti-black racism. "Racism does exist in society. 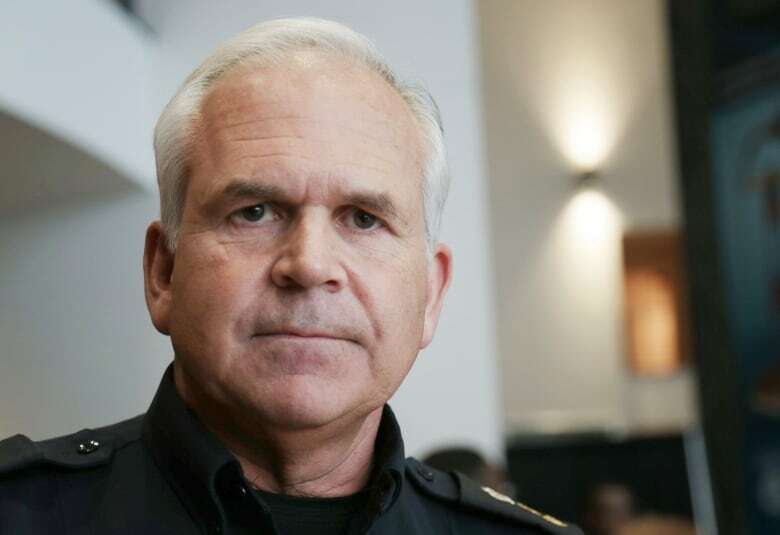 It can exist in policing — and it has no place in either," Ottawa police Chief Charles Bordeleau told the crowd gathered in Andrew Haydon Hall. Published last year by the City for All Women Initiative and the Ottawa Local Immigration Partnership, a report called Addressing Anti-Black Racism in Ottawa was the result of a consultation in August 2016. Ottawa police should hire and promote more officers from minority communities, improve its community engagement and accountability, and hold officers who demonstrate racist behaviour accountable. Schools boards should address the impact of anti-black racism on student well-being as well as their academic and career prospects. Social service organizations should address barriers facing members of the black community, including through employment equity and anti-racism training. "We're listening and we're taking action," Bordeleau told CBC News. "We've moved the yardstick on many fronts." Ottawa police have put in place new measures to address anti-black racism. They include mandatory training on bias-neutral policing introduced this year, along with ongoing outreach and crime prevention efforts, Bordeleau said. The force will also be conducting a diversity audit this year to determine what barriers are preventing members of minority communities from joining its ranks. "We are acknowledging the lived experiences that people have in the community with police. We want to hear those stories," Bordeleau said. Representatives from the city and the Ottawa-Carleton District School Board said they are both taking steps to address barriers to employment. The city has identified positions across its organization where members of minority groups are underrepresented, according to general manager Donna Gray. The city will also be holding its first-ever diverse career fair, Gray said, and will work with community organizations to address barriers that might prevent people from applying and getting those jobs. Jennifer Adams, the Ottawa-Carleton District School Board's director of education, acknowledged the board's teaching staff do not yet adequately reflect the diversity of the students they teach. As a result, the board has reviewed its hiring practices to promote bias-free hiring, but Adams said it still wants input from the community on how to improve. "We're here to listen," she said. "I'm very open to hearing the kinds of things that we can do together to help all of our students get very positive outcomes." Several people at the meeting criticized the fact that all five panellists were white, adding they expect more opportunities to hold the city and its institutions accountable. Still, leaders from the black community said they welcomed Wednesday's forum as an opportunity to continue the dialogue. "There's still a lot of work to be done, but I think that some of the initiatives that they're taking are really positive," said Justice for Abdirahman Coalition spokesperson Dahabo Ahmed Omer. "We now know that they're listening to us, because they would not have made these steps if they weren't." Ottawa Mayor Jim Watson did not attend the forum, but Somerset Coun. Catherine McKenney and Rideau-Vanier Coun. Mathieu read a declaration from the mayor proclaiming the city's official recognition of March 21 as the International Day for the Elimination of Racial Discrimination. 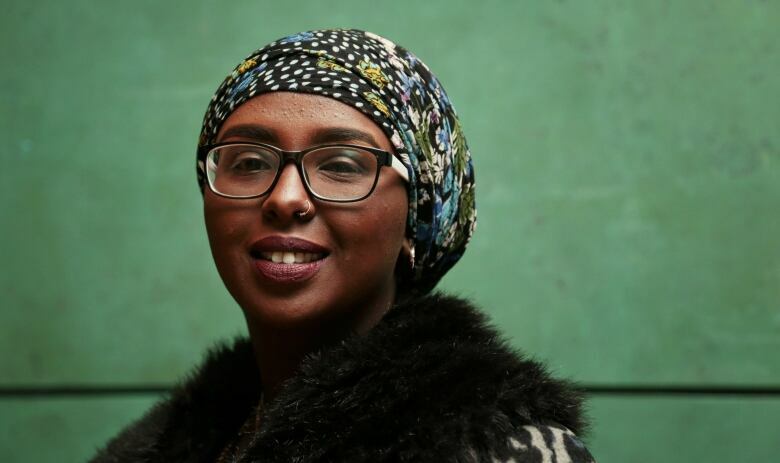 Ahmed Omer also said she was pleased all five panellists recognized the existence of anti-black racism and committed to working toward its elimination. "Calling it out for what it is and using the right terminology and the right language also gives us some solace in knowing that things are going to be done," she said. "Once you call it out, you've got to do something about it. You can't ignore it anymore."